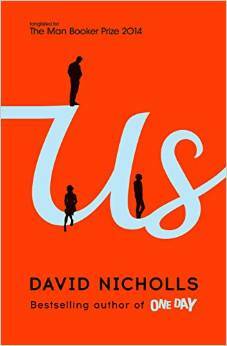 It would be difficult not to enjoy a David Nicholls novel. His stories have ‘Like Me’ stamped all over them. I am among the legions who liked One Day; gulping it down, and not seeing that plot twist coming. Once again Nicholls has come up with a tantalizing premise. In the dead of one night, after twenty odd years of marriage, Douglas’s wife Connie announces she wants to leave him. Only after, however, they have been on a booked-and-paid-for Grand Tour of a holiday around Europe with their recalcitrant 17-year-old son Albie, who would much rather – duh – go to Ibiza. Nevertheless, off they set on Eurostar, with both Douglas and Albie bristling with resentment. Not surprisingly, the trip doesn’t go well. The root causes of its meltdown – the slow but inexorable decline of a marriage, the disintegration of a parent-son relationship – and how they are overcome (well, sort of) are the subject matter of this novel. If you were in your twenties in the 1980s and lived in London (as I did), you’ll particularly enjoy the observational comedy of the early chapters. 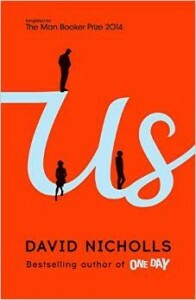 Nicholls is excellent at nearest-and-dearest dialogue as well, skilfully capturing the tense, stilted conversations between father and teenage son. There are some catch-in-the-throat moments too: ‘My son was not what I expected,’ admits Douglas at last, once things have melted down. So far, so enjoyable. But as the story unfolds, narrator Douglas’s whistle-stop anatomizing of the two decades of his marriage – just like his over-planned Grand Tour, itemized on daily handouts – left me longing to press pause, and get a more rounded sense of why both were ailing. For, unlike in One Day, with its time slips, and absorbing, seesawing counterpoint between Emma and Dexter, we get only fleeting glimpses of how things might appear from the other side. The tourist destination settings give Us an apparently alluring framework, but there were things I would rather have been told than what you can see upstairs at the Prado. Such as: what does Connie think and feel about it all? Yes, Us is hard to dislike, but my enjoyment in this novel was also diminished by the resolution at the conclusion (such as it is), which comes with unlikely ease and speed, and not a little predictability. And that’s a shame because how we best bring up children; what we do about simmering dissatisfaction with our ordinary family lives; and whether some marriages come to a natural end are questions hugely worth exploring. ‘Twenty-Plus Years of Marriage. Teenage Son. Holiday. Lifetime. Join the Dots,’ is the publisher blurb’s linear summary of Us. I just kept thinking how rare it is that the dots are so neatly joinable.